Have you met Kagga Kamma’s very own “Sand Picasso”? You might have met him – he goes by the name Charles Smith. Allow us to tell you his fascinating Kagga Kamma story. Creativity, some say is intelligence having fun. Others believe that creativity flourishes in an atmosphere of inner security and confidence. We believe in these statements and that creativity is connected to passion, to the light that drives you. Creativity sets your heart on fire and leads you to great things. And creativity certainly led to great and amazing things for Charles Smith, a very talented Kagga Kammaean. Charles joined the Kagga Kamma Team in 2013 as a porter and gate guard. Not one to sit idle, he kept himself busy filling recycled bottles with different colours of sand, found at Kagga Kamma. His passion and creativity was first discovered when he made the Resort Manager, Tania Steenkamp, a sand art bottle for her birthday; she loved it and knew that guests would love it too! Now Charles makes the bottles, Kagga Kamma buys them from him and sells them in the Curio Shop. And wow, they are popular – guests from all over the world buy his fine work. Charles even assisted and showcased his talent once for a wedding held at Kagga Kamma. The bride requested the sand art bottles be made as favours for her guests – a massive task because there were 58 guests in attendance. With each bottle taking about two hours to complete, you can imagine how many hours Charles spent intricately designing the sand bottles. He carefully and meticulously fills the bottles making different patterns with the different shades of sand. The tools of his trade? A thin stick and a straw! Within the two hours his passion and creativity culminates in a magnificent creative piece of art in a bottle – a signature item at the Kagga Kamma Shop. Kagga Kamma is very proud of Charles – his hard work, passion and imagination has, and is, inspiring many of our cherished shareholder’s, their families and beyond. Don’t miss the next instalment of “Kagga Kamma Has Talent”, where we’ll be featuring our very own “Michelangelo Rock Painter”! 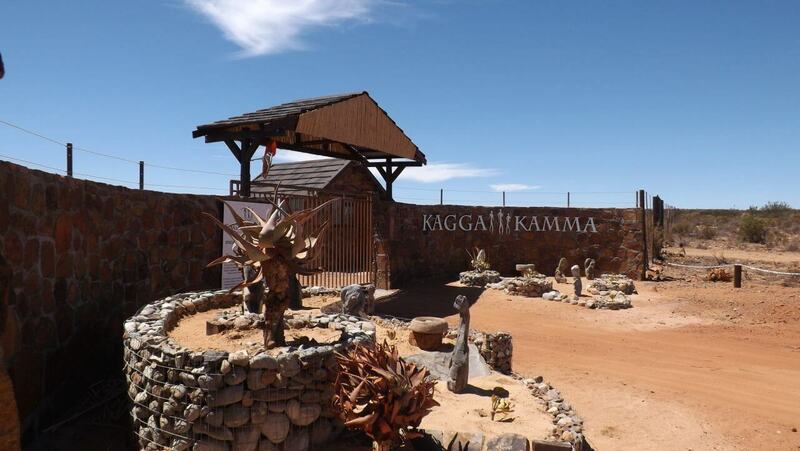 Tell us why you love Kagga Kamma! What are the best things about the Resort? in the one of our blogs!